reflecting in emerald on the velvet evening. 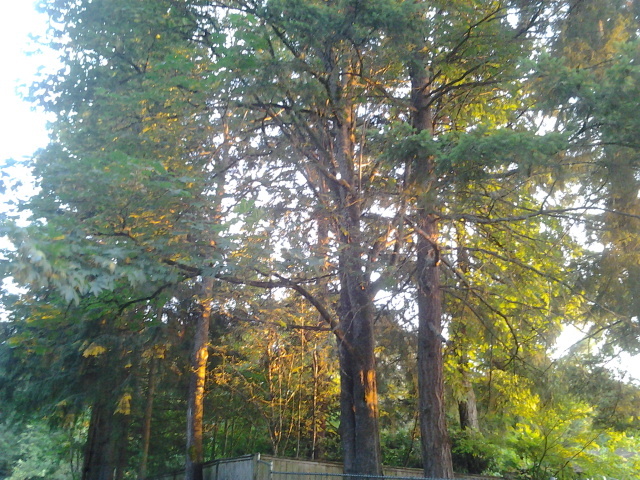 My husband and I were out on our deck remarking on the lovely Seattle evening, glancing at the way the trees moved in the wind. We both thought of the same thing–dancing trees. Linking with Kelly for the Small Wonder link up, where she wrote about trees, too. Oh, I love trees. Thank you for sharing this, Jody. I, too, love the play on words at the end. And yes, to end with a smile is delightful and fitting. Also love that line: “Reflecting in emerald on the velvet evening.” Beautiful and soul-enriching, Jody! I hesitated at the play on words, Sandy, but I thought a smile bringer would be a good ending. Thanks for reading. That made me smile. The light in that photo makes me smile, too. I, too, talked of these dancing trees of ours… so lovely! I so love how the trees dance, too. Mine are dancing outside my own window right now. I think I'll watch a minute…. Thanks for the blessing, Jody.